Leading concertmasters* and close friends have shared reports of the death today of Joseph Silverstein, legendary concertmaster of the Boston Symphony from 1962 to 1984. He was 83. After stepping down at Boston he became music director of the Utah Symphony, 1983 to 1998, a most uncommon upgrade. Joey was born in Detroit, studied with his schoolteacher father and went on to Curtis where he worked with Efrem Zimbalist, William Primrose, Josef Gingold and Mischa Mischakoff. Few concertmasters have ever received such trust and respect from visiting violin soloists. One of his last performances, last month, was a benefit concert for the new Center for Beethoven Research at Boston University. Musician tributes here and here and here. A great and good man. I miss him already. He leaves a grace and elegance to the art form that will be carried on by his students and colleagues. His impact was certainly profound with the little bit I worked with him and I am forever grateful. I think that calling Joseph Silverstein a concertmaster in the headline does him a disservice. He was one of the great violinists of our day. He had a very important solo and recording career, and was also a sought-after conductor. He was a great musician and a very nice person whom I had the privilege to know. RIP, Joey. I’m sorry, but referring to Mr. Silverstein as merely a concertmaster is not doing an injustice, his work at the Boston symphony was some of the most significant in his career, and his choice of a career path before going on to being an incredible mentor, teacher and conductor. I headline would never do justice to the breadth of his contributions to the American concert scene, but I know he was proud of his work in Boston. And one of his great teachers was merely a concertmaster, the irreplaceable Josef Gingold. Joseph Silverstein was an important influence on generations of violinists. I am personally grateful to have had his support and counsel over a long association beginning in 1979. He brought grace, intellect, and gorgeous aesthetics to a vast body of work as one of the truly most important violinists of his time, and as a devoted educator. The world is poorer for the loss. 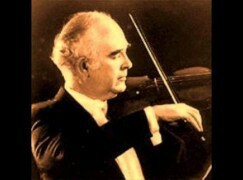 Joseph Silverstein was an important influence on generations of violinists. I am grateful for having had his support and counsel over a long association beginning in 1979. He brought grace, intellect, and gorgeous aesthetics to the huge body of his work as one of the truly most important violinists of his time, and as a devoted educator. The world is poorer for the loss. Correction: Music Director of Utah Symphony from 1983 – 1998 – not 1993 – 1998. A very dear friend and colleague, who taught me much in the course of several collaborations. I still remember our first conversation. I was producing a chamber music recording on which he was performing; after a lifetime of admiring him, I wanted to show him every professional courtesy. I asked him how he would prefer to be addressed during the sessions. He regarded me with mock-hauteur and said, “My name is a four-letter word: J-O-E-Y.” We were great pals from that moment on. Rest in peace, Joey. And thank you for such unfailingly wonderful music-making. That Bach encore is absolutely stunning. What a wonderful musician he was. Silverstein was a wonderful teacher and musician. I played for some of his students and got to see what rare analytic skills he applied in his pedagogy. Decades later, his musicianship lives on in his students and colleagues. SONY should definitely reissue his RCS concerto with the BSO – the Bartok and Stravinsky were memorable. Were there more? But there must also be live performances on tape. I recall his performance of the Schoenberg violin concerto one summer at Tanglewood. Technically it was sure and rock steady. Interpretively, it was free and easy as if it were Mendelssohn. His record that he released after winning the Naumburg should be made available too. It has an old school rendition of the Bartok Solo Sonata that is wonderful. It’s not modern, aggressive playing; he plays it in his own unique way. This would be a valuable release to all the youngsters who study this piece. There was the sonata LP made after he won the Naumberg – Bach #1 and Bartok solo sonata. Additionally, the many records with the Boston Sym. Chamber Players of which he was a founding member. Was always kind, direct and honest to me. His ease of playing was / is a model for me. He impressed me with his acknowledgement that the older owe gets, the more one should practice. A thinking musician. A musician’s musician. He appeared with orchestras where I play several times, sometimes playing, sometimes conducting, sometimes doing both on the same program, sometimes leading the concerto from the violin as well. Always a highly educational and enriching experience, as well as a guarantee of coming away knowing many more good jokes and stories. One of the great ones. Not generally known is that Zimbalist kicked Joey our of Curtis when Galamian reported that Joey was studying with Dounis in NY on weekends. Years later, Aaron Rosand, while visiting Zimmy – retired and living in NV – convinced him to relent and let Joey graduate. Rosand had endowed a chair in Curtis’ violin faculty that Joey occupied. On a personal note, I remember clearly the circumstances preceding his appointment as Music Director in Utah in 1983. He was apparently offered the position, but before he would consider it seriously, he requested a meeting with the rabbi serving the Salt Lake City congregation where he and his family would be worshipping. Nonetheless, the busy rabbi flew in immediately to meet with the Maestro. The meeting was a success, Mr. Silverstein was satisfied and accepted the position with Utah. It always impressed me that this great musician gave his spiritual needs and those of his family the highest priority in this situation. A great man, truly. We first met 60 years ago, shortly after he became a member of the Boston Symphony Orchestra. An instant friendship was struck up not only between the two of us but also between our two families. And for a time we lived in neighboring summertime houses in Stockbridge, minutes from Tanglewood. Joey was the consummate musician, steadfast in his integrity and a model for us all. My heartfelt condolences to Adrienne and the entire family. Mr. Silverstein inspired me, from young age to old, to work harder and more honestly than anyone else could. He was always helpful and kind, had the most beautiful sound and carried his immense erudition with natural grace. A very sad day. 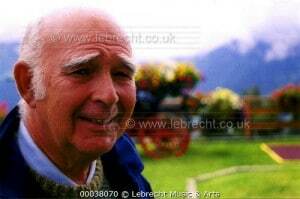 Very sad to hear of his passing – as a young cellist at Tanglewood in the summer of 1963 he coached a string quartet i was playing in – the kindest man and one of the most intelligent and musical men i have ever known. Joe Silverstein is unquestionably one of the great musicians of our time and the gold standard for concertmasters. With his usual kindness, he affected and inspired many musicians. Joe Silverstein gave me my first big break by inviting me to play in the Utah Symphony in the 1984-85 season. That year, working with him in Utah, made all the difference for me and set the stage for me to win a job with the NSO the following year. It was indeed a joy to play for him in Utah as well as at Boston University where he was the conductor for several years. I was so fortunate to have been guided by such a great musician. Mine was one of the many musical lives that he touched. Rest in peace, Joey. Very sad to hear this. He was a supreme musician, and an inspiration to all. Joseph Silverstein was my hero when I was one of four conducting fellows in the Tanglewood program 1974.
years with a marvellous teacher in Vienna, I still learned so much from him! and then serve as concert master of the BSO in the second half in Brahms’ Symphony Nr. 1 which is filled with violin soli at the end of the second movement. beings, giving so much to everybody around him from his immense talents and knowledge! as the music world for sured is a lot poorer without him! My heartfelt condolences to his family and close friends! It was my privilege to work with Joey in my tenures with the Minnesota Orchestra and the St. Louis Symphony . He was a great musician and a fabulous person . My life, and the lives of many others, were better for knowing him. Mr. Silverstein was a great conductor and a gentle soul. He will be sorely missed. JS has countless admirers. But he had another side: A small, petulant and bitter side that often rose to the surface in private. I heard him say many uncharitable things about colleagues, former students and concerto soloists that do not bear repeating. He was a talented man who wanted to be thought a genius; a good violinist who wanted to be thought a great conductor; and a very ordinary, flawed person who sought immortality. RIP, JS. You contributed much through your playing. Your musical citizenship? Not so much.